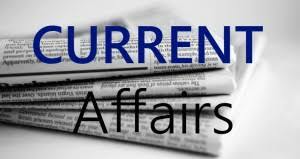 Current Affairs Question 2017: Looking for 15th November Current Affairs? Then start your Quiz right now by answering them. Here in this article, we are giving the Current Affairs Quiz with Questions and Answers. As many people are preparing for various government exams it became mandatory for them to get a grip over the current affairs as in most of the tests are based on Daily Current Affairs. By taking this kind of Current Affairs Quiz candidates can eventually get hold of what they have been working on. Contenders can trust us as we will update all the latest Current Affairs in this quiz. For more such quizzes check our site Emitragovt.com regularly as we will update the Daily Quiz for current affairs. 1. For the first time, the nation’s financial capital will host the 34th annual conference of the Asian Bankers Association (ABA). 2. Indian duo Leander Paes and Purav Raja won the Knoxville Challenger men’s doubles title at Tennessee in the United States. 3. The Government launched its second and final phase of BharatNet project to provide high-speed broadband service in all Gram Panchayats by March 2019. It will be implemented at an outlay of around 34 thousand crore rupees. 4. Prime Minister Narendra Modi, who is in Philippi7nes to attend the India-ASEAN summit, inaugurated the ‘Shri Narendra Modi Resilient Rice Field Laboratory’ at Los Bano. 5. Indian women’s cricket team captain Mithali Raj bagged the Indian Sportswoman of the Year (Team Sports) award at the Indian Sports Honours (ISH) event held in Mumbai. 6. Ace Indian cueist Pankaj Advani clinched his 17th world title after defeating Mike Russell of England in the IBSF World Billiards Championship. 7. Former Prime Minister of Nepal Kirti Nidhi Bista passed away. He was 90. 8. Japanese conglomerate Softbank has entered into a deal with the American taxi service provider Uber to invest in the company. 9. Union Minister of Health and Family Welfare J P Nadda inaugurated the ‘Transport Ministers` Forum on Road Safety’ organised by International Road Federation (IRF). 10. Ferrari’s German driver, Sebastian Vettel won the Brazilian Grand Prix title.